Spring is here and I can’t wait to see Walter and Holger wear lighter clothing and shoes soon. Holger took his first steps a few months back and is keeping us busier than ever. But what a joy it has brought him to walk. He is the happiest little boy when walking and exploring. For shoes this Spring I was looking for something light and simple for Holger and the Kicks with velcro from Petit Nord Copenhagen are just perfect. And the concrete colour is so beautiful too! It is important for Holger that the shoe fit for him is normal to wide fit and has a firm support, which the Kicks has. So as just said, a perfect shoe match. In addition these Kicks are made of soft calf skin with an ecological and chrome-free lining. The new and improved sporty lightweight recycled rubber sole is intended to provide the best possible support for the child’s first steps. The soles on the smaller sizes are especially designed to be softer and more flexible than the larger sizes. 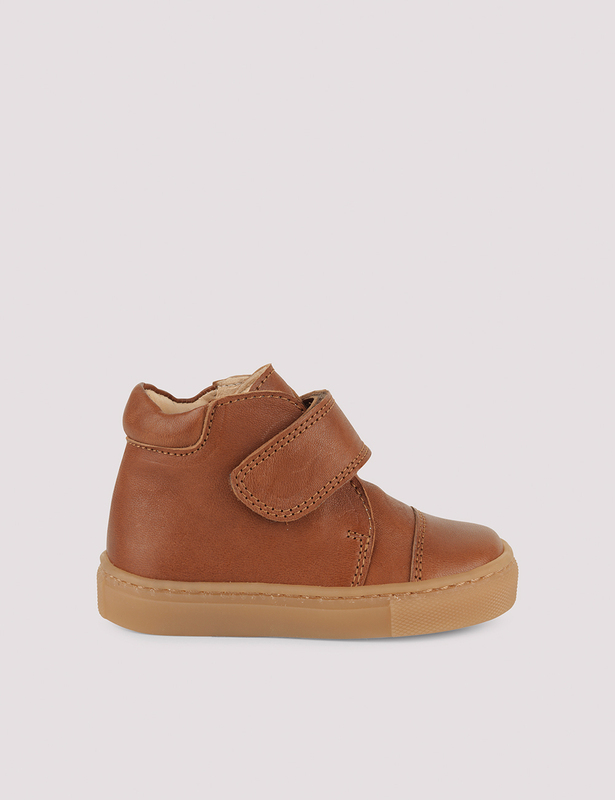 These are made to be the child’s first walking shoes but are also popular with the older children (source: PETIT NORD COPENHAGEN). As an alternative colour to the concrete, I would choose the cognac. Also so beautiful. ..and some additional inspiration for the girls. The Kicks with lace in a soft pink - so adorable. Happy weekend and Spring shoe shopping.